Spread each bread half evenly with hummus to within 1/2 inch of edges. Arrange parsley, olives, cucumber, tomato and cheese over hummus. Roll up each bread half. Feta cheese is a classic Greek cheese made with sheep’s or goat’s milk. The crumbly white cheese is cured and stored in brine so it has no rind, and tastes tangy and salty. 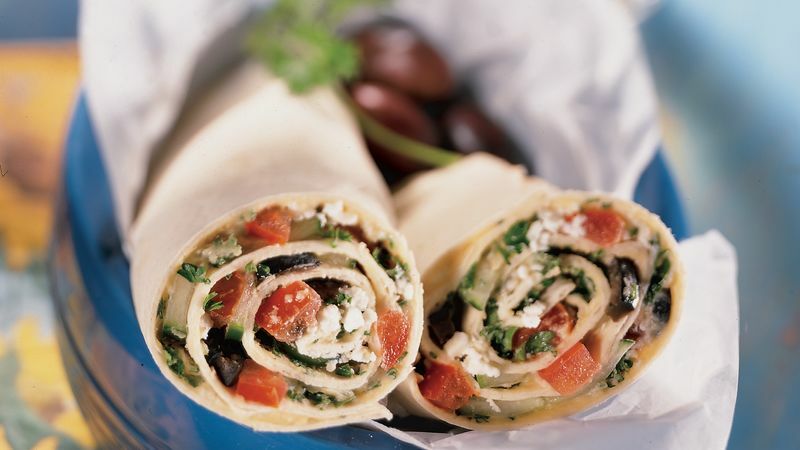 Pliable flat bread can be used in place of the cracker bread in these wraps. Flavored feta cheese can be used in place of the plain feta.